It’s easy to find a Postmates promo code for new users that offers a discount on your first order, but are there any free credits available if you’re an existing user? Coupon sites and promoters constantly publish new promo codes, but almost none of them are for existing users, and many are expired or invalid. 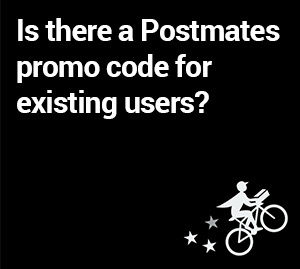 Postmates promo codes for existing users are available, but it can be difficult to find a valid, working code. Postmates creates codes for existing users, but reserves them for limited promotions that don’t last long. Chances are high that a code you find online is expired. Fortunately there are a few tested methods you can use to guarantee a discount on your next Postmates order. New user Postmates promo code: ‘RSD18‘. I may receive a bonus from Postmates if you use my code. The only guaranteed way for an existing user to get free Postmates credits is to share your referral code or referral link. If someone signs up for Postmates using your code, you will get free credits that typically apply toward delivery fees. To find your referral code, go to the Settings ares of the app or tap the dollar sign ($) icon on the home screen. You can send your referral link in a text, email, tweet, or just about any way you want. Postmates occasionally runs promotions for existing users that offer free deliveries or other discounts. Typically Postmates will send an app notification or an email letting you know about a promotion, so there might not be one available if you need free credits right now. Make sure to enable push notifications from Postmates to learn about temporary promotions for existing users. Here in Los Angeles, I typically see a few promotions each week in app notifications. Make sure to screenshot or write down the codes before you dismiss the notification because Postmates might not share the code again. Hundreds of coupon sites publish Postmates promo codes, but in my experience most codes found online are expired or invalid. Of all sites that list codes, the Postmates subreddit has the most reliable user-generated list of active codes for existing users. Codes I’ve found there have worked more frequently than codes you might find on a coupon site. 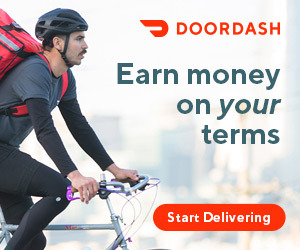 DoorDash is a food delivery app that is very similar to Postmates, so if you like using Postmates you should definitely put DoorDash into your food delivery rotation. It’s easy to find DoorDash codes for new users, so you can easily get a good deal on your first delivery. How do Postmates promo codes for new users work? Users who have never ordered a Postmates delivery can get a discount on their first order by using readily-available promo codes that work only for new users. There are a few different ways to enter a promo code: In Settings > Promos and Credits, or on the order checkout page. If you’ve never used Postmates and you know someone who has, ask them for their code and they’ll get delivery credits if you sign up using their code. Otherwise, you can use my code: RSD18. What’s it like to drive for Postmates? Postmates orders are delivered by independent drivers who use their own vehicle to make deliveries. When customers enter in a food order, a nearby Postmates driver will receive a delivery request along with instructions to complete the delivery. They navigate to the restaurant, pick up the order, then navigate to the customer. You can use almost any vehicle to deliver (or even a bicycle in some markets), and most drivers typically earn around $8-$15/hour. New user Postmates promo code ‘RSD18‘ works for all new users. It is my personal referral code, so I may receive an app credit or bonus from Postmates if you use it. It will be great to know from u if u have any idea how much a new postmates make hourly in last vegas ? Yes, you can make anywhere from 150-200 if postmates is running a special for fleet drivers. Sometimes they’ll run a 100 dollars extra for 10 deliveries before midnight.